Interesting discussion here in reaction to a Washington Post article about a new embryo bank. I'm not quite sure what I think. 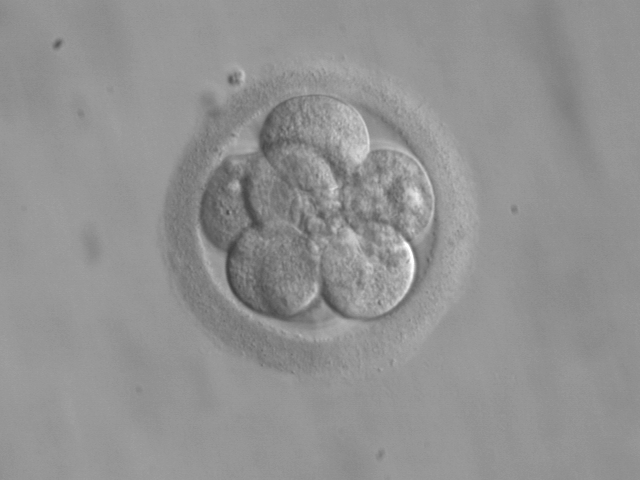 I do agree that embryos ought to be thought of as more than "things," but I am also of the firm opinion that an embryo is definitely something less than a person. I don't quite see what thegameiam fears actually happening. I think it's a far cry from what this embryo bank in San Antonio is doing. When thinking about this issue, don't forget that "embryo" refers to the potential-person during it's first eight weeks of existence. 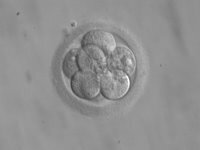 In this particular case, it necessarily refers to fertilized eggs, grown to between eight and about 150 cells, that have not yet been transferred to anyone's uterus. We're talking 5-6 days post-fertilization at most, and then they're presumably frozen. I really can't see the justification for calling a pre-implantation or pre-transfer embryo a little person, as I'm sure some Christians are wont to do. It's like calling me a Nobel Prize winner. Hey, it could happen! But not without a lot of other stuff happening first.